Hey everyone it's Day 2 of Gift Week over at A Blog Named Hero! There are some phenomenal projects up so make sure you go check them out! This week I have some hand made coasters. I received the blank coasters from a friend years ago. You can do a Google search and find many out on the www. These specific coasters are made out of plastic with two little magnets that keep them together. You can't go excessively bulky but I did manage to get a couple layers in there. 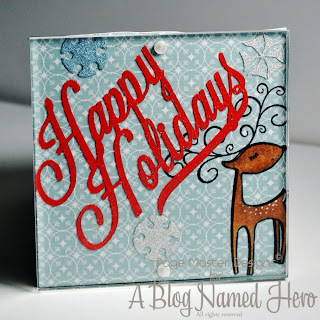 I used product from Lawn Fawn, Hero arts, Simon Says Stamp, CAS-ual Friday and more. For this little guy I started by using the Simon Says Stamp White Woodgrain cardstock, I then stamped and colored the snowman and cut him out, I used the snowflakes from the same set and stamped them with Stampin' Up! 's Pink Pirouette (I forgot that in the inklinkz). 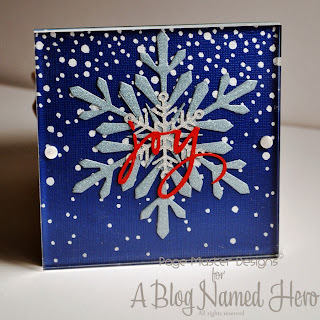 I used Martha Stewart glitter and Silhouette's double sided adhesive to create the snow on the torn scrap of white cardstock. It's finished off with a CASual Friday stamp title. 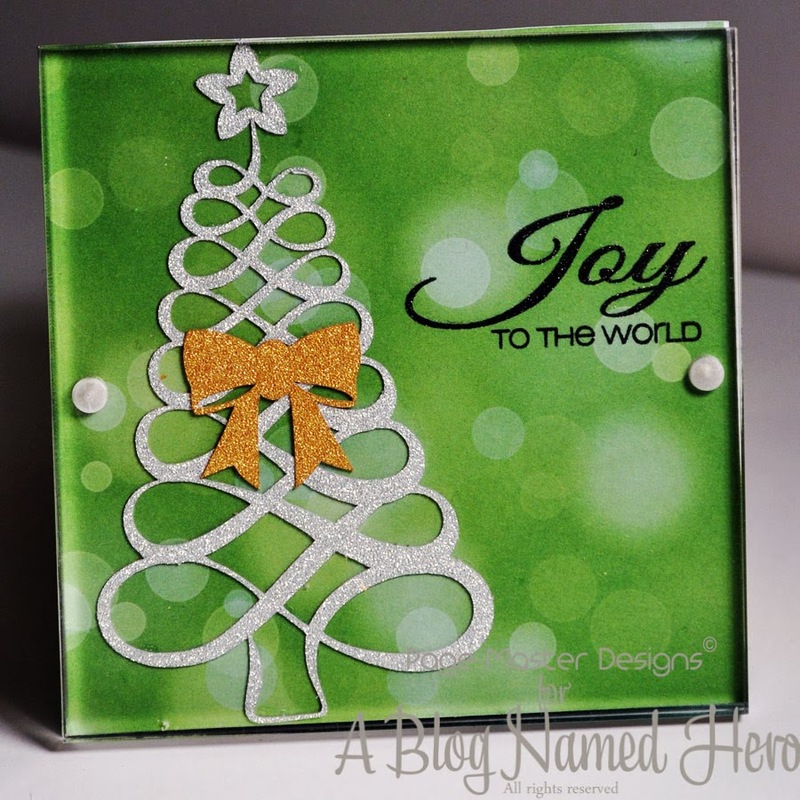 For this one the Happy Holidays is a Hero Arts shape in the Silhouette store. I cut it out and then used my Wink of Stella pen to add some sparkle to it. 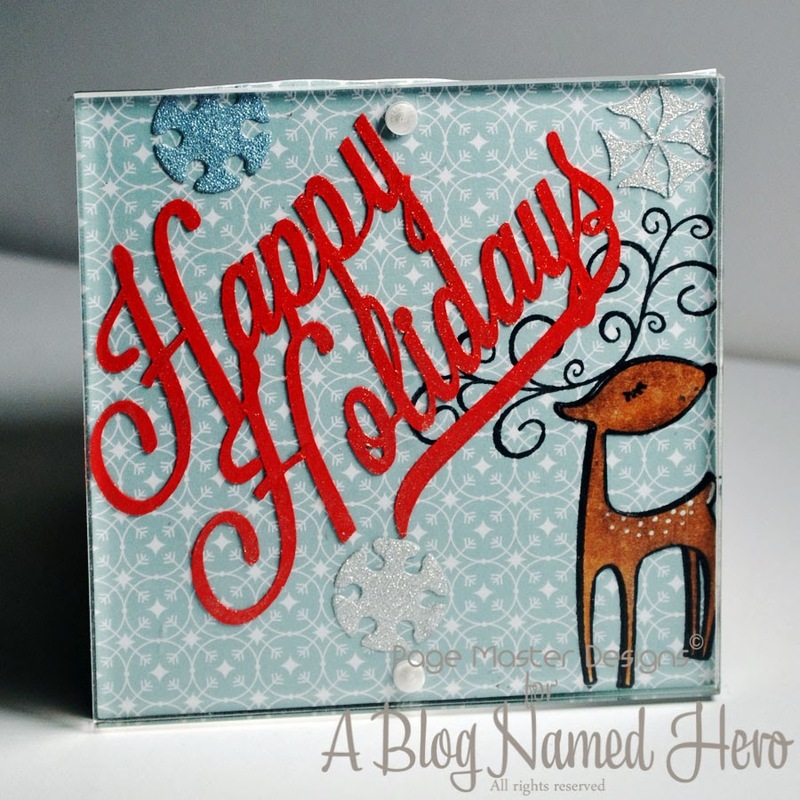 I stamped the Hero Arts reindeer on a piece of Lawn Fawn paper and then again on white cardstock. I colored him in and then trimmed him out without his antlers. Those antlers are tough to cut so it's easier to just stamp him and then cut out the body and attach it. The snowflakes are the inside of the Simon Says Stamp Faceted Snowflake. I never throw the insides of it away. ;). The dots you can see at the top and bottom are the magnets. This one was super quick and simple. 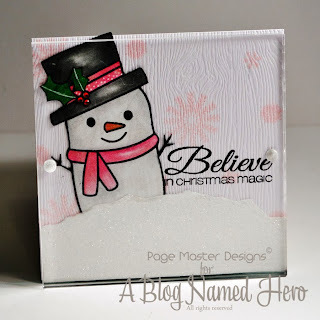 I trimmed a piece of Bazzill cardstock, taped my Simon Says Stamp Falling snow stencil onto it and then used my Sakura Gelly Pen in white (my favorite white pen ever!). 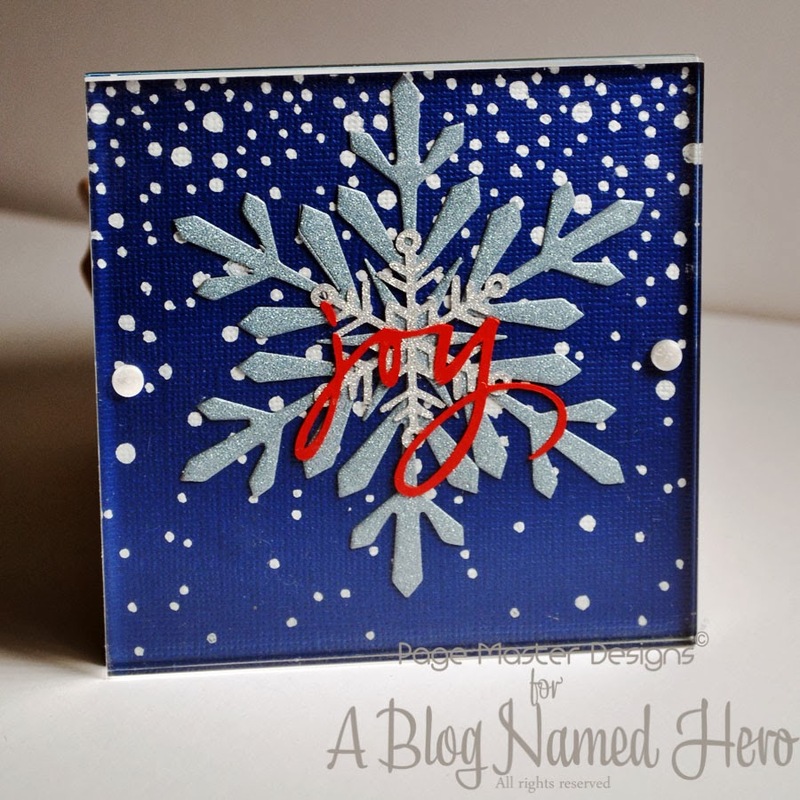 I die cut the large Hero Arts snowflake and the small Simon Says Stamp snowflake out of the DCWV glitter stack. This paper is GORGEOUS in person! The Joy is from the Silhouette store. Lastly... 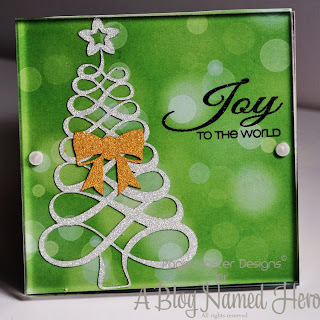 I used some more of the Love, Peace, Joy 6x6 pad by Lawn Fawn for the background. I love this Bokeh effect paper. I die cut the tree and bow out of the Silhouette and used a CASual Friday stamp to finish it off. That is all from me today. Don't forget to stop by A Blog Named Hero. They are having give-a-ways all month too. Oh my goodness, but these are fabulous and beautiful! Such a heart-warming, thoughtful gift! They're stunning as coasters, and could be just darling as cards, too! Amazing inspiration. LOVE these! !